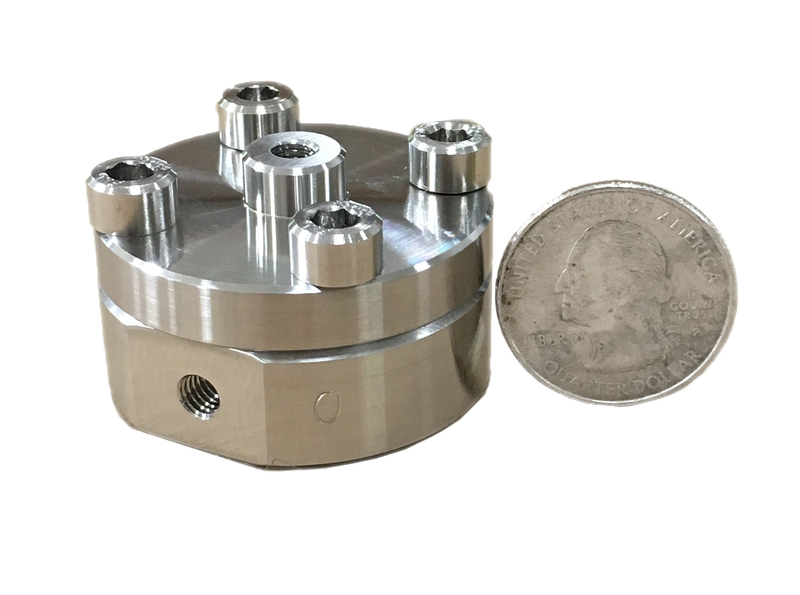 Equilibar is pleased to announce the release of the LVF back pressure regulator, a miniature, low dead volume version of its low flow back pressure regulator. The LVF comes exclusively in 1/16″ size ports, either HPLC (10-32) style threads or HiP AF1 style. The unit has a maximum flow coefficient (Cv) of 0.01. Equilibar developed the LVF in response to requests for a smaller back pressure regulator, said David Reed, operations manager. Many of the requests came from scientists doing catalytic research with multiple reactor systems at a high temperature. In this situation, back pressure regulators are often placed inside an oven where space is severely limited. To accommodate these researchers and others, Equilibar made a smaller version of its signature dome-loaded, multiple orifice regulator. The new product has a diameter of less than 40 mm. The unit has an impressive Cv turndown ratio of 1:100.000. Due to the size of the regulator, a small process connection of 1/16” is used. “The LVF is based on the same novel technology as all Equilibar back pressure regulators,” said Reed. All of Equilibar’s back pressure regulators feature patented technology based on a dome-loaded, multiple orifice design that is capable of providing high performance across incredibly wide flow rate ranges. 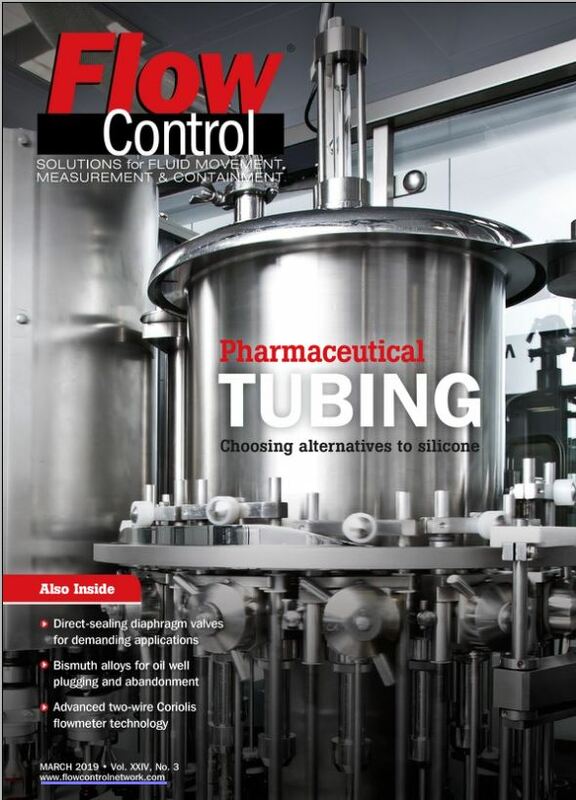 In contrast, most traditional back pressure regulators rely on springs and other moving parts that can introduce friction and hysteresis to a process. The LVF is especially well suited for applications involving catalytic research or gas chromatography. It is also well adapted to provide singularly high precision for microfluidics and micro and nano flow control.